Happening in 5G, major technology realization announcements from NEC – a prototype mmWave antenna for 5G basestations – and from Deutsche Telekom – a demo with Huawei of end-to-end network slicing. On the commercial front, China confirms its 5G network built-out will start in 2019 with an allocated $73B budget. As far as 5G patents and licensing, we are highlighting some remarks from the EU Commission. The last item this week is an overview of the internet protocol evolution to 5G out of the IETF 97 meeting. With 5G expected to support high capacity, high-speed services like HD video, augmented reality and virtual reality, it is important to build a mobile network that is capable to deliver to these requirements competitively over millimeter frequencies (mmWave). Japan’s NEC says that it has developed a prototype 500 massive-element active antenna system (AAS) for the 28GHz band, and with the capability of achieving long distance communications on high radio frequency bands with low power consumption. In a news release, NEC says that the prototype antenna has proved capable of achieving up to one kilometer in long-distance communication in 16 separate directions, at a speed of 30Gbps or faster per cell, in the 28 GHz band, and achieving a spectral efficiency 20 times greater than LTE. Network slicing, mobile edge computing, machine learning, and LPWA are the high profile 5G related use cases that IETF is looking at to enable the next generation of mobile communication systems. A redesign and/or evolution of the internet protocol (IP) could be needed to meet the requirements of these use cases, and during its November 2016 meeting (IETF97) different threads of work and initiatives took place to kick off design and/or prepare specifications. The IETF is doing the 5G work under different groups. The most relevant outcomes and discussion are a new 5Gangip special group looking at the needs of fixed and mobile next generation 5G protocols; the nmlgr Group looking at applying machine learning for 5G at network level; the first network slicing draft; and ETSI’s MEC (Mobile Edge Computing) training introduction. China aims at realizing 5G commercial service as early as 2020 with the backing of its regulatory body as well as the backing of business plans at several local and global companies. Insiders from IMT-2020(5G) promotion group, which is dedicated to supporting and promoting 5G technology, said that the planned second-phase of technology testing will commence in 2017 as scheduled. The promotion group also disclosed that the experimental stage of 5G will last three years, from 2016 to 2018. Finally the group said that the construction of a 5G network in China will begin in 2019, and it will have a total dedicated budget of $73B. Sources at China Mobile Research Institute (deputy general manager Mr. Yuhong) said that the three biggest mobile operators in China are already working with OEMs for testing, and added that the first 5G standard will be announced in 2018. On the services and applications area, IMT-2020 5G promotion group is hosting 42 local companies that collaborate at the 5G Joint Innovation Center to research and develop IoT, connected cars, industrial Internet and other verticals. Reportedly some of their projects are close to entering commercial operation phase, ready to be tested. During a conference in Belgium, EU Commissioner Vestager offered some remarks about the licensing and patent situation in the mobile sector. The Commissioner cited a recent study findings that $120 of the total cost of every smartphone goes to patent royalties. There were also references to patents essential to a standard and how for some OEMs it “could mean they end up paying unjustified royalties, and their customers have to pay more…” thus the need of a working framework where patent holders usually have to commit to making their technology available on fair terms. These remarks serve as a reminder of the many outstanding licensing and patent issues around 5G. In the past, the EU Commission has shown to favor certain improvements to enable easy and fair access to standards essential patents specially in the 5G IoT area which involves the convergence of many complex technologies. Among others, enhancements in transparency of access to reliable information on standards patent holders, patent scope, and standard essential patent declarations. The Commission has also been positive to facilitating efficient patent disputes to help remove commercial and legal uncertainty for smaller companies. The Commission intends to work with standard development organisations, patent offices, industry and the research community to clarify licensing principles. Deutsche Telekom and Huawei report completing an autonomous E2E demo of dynamic real-time slicing of the 5G Radio Access network, the Data Center (DC), and the transport network. E2E network slicing is seeing as enabler of 5G services. It is an integral part of the 5G architecture where network classes such as Enhanced Mobile Broadband (eMBB), massive Machine Type Communication (mMTC), Ultra-Reliable Low-Latency Communication (uRLLC) are ‘logical network’ slices of a unified physical network infrastructure. The demo conducted in DT’s lab in Bonn, Germany implements bandwidth based transport network slicing. The transport network consists of TSDN controllers and DWDM nodes. The controllers generate a series of specific data forwarding paths based on slice topology and service requirements. At radio level, the F-OFDM air interface technology is the key to the spectral granularity and also permits efficient co-existence and isolation of all 5G New Radio (5G NR) slices. In the demo, real-time dynamic adjustments of network slices on very fine spectral granularity, signal process and protocol stack were validated. 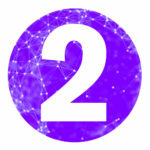 The automatic implementation is possible with Service Oriented Network Auto Creation that uses software-defined topology, software defined protocol and software-defined resource allocation to ensure the automatic implementation of slice management, service deployment, resource scheduling, and fault recovery based strictly on a detailed and thorough network data analysis. 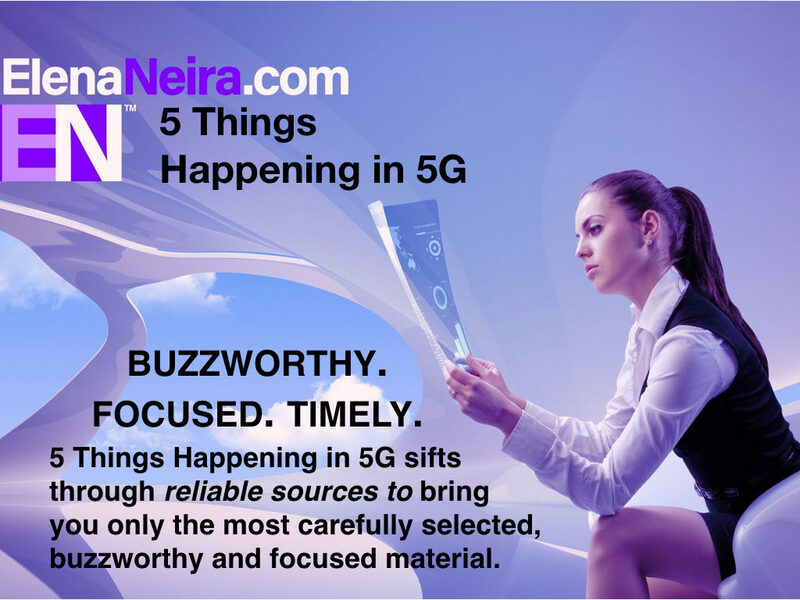 “5 Things Happening in 5G” sifts through reliable sources to bring you carefully selected, buzzworthy, and focused biz, tech, and market developments. Issue No. 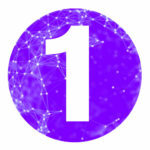 5 – Nov 28 – Dec 4, 2016.